We bring back the SPARKLE to your tired dull STAINLESS STEEL. Improve the image of your building. 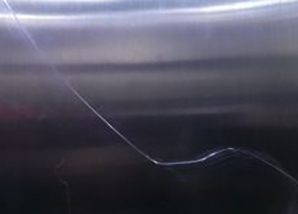 We repair scratches, graffiti ‘tagging’ and polish stainless steel surfaces. Stainless steel does scratch. Our process repairs/removes scratches and stains, returning the stainless to like new condition. Prolong the life of your stainless with our ‘tea stain’ removal and corrosion treatment service. Rejuvenates the life and shine of your stainless steel. 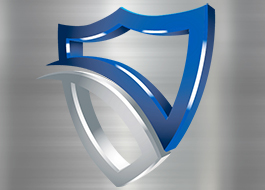 Tailor made programs for the ongoing protection of your investment in stainless steel. 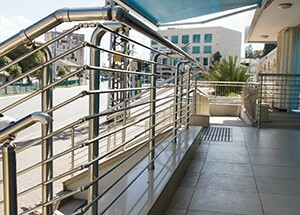 Stainless Steel Rescue is Australia’s leading specialist in stainless steel cleaning and restoration, stainless steel scratch repair, lift polishing, stainless steel polishing, and corrosion treatment for commercial and domestic customers. Our service is fully mobile. We come to you, working on your site with no need to disassemble any stainless steel fixtures. We service customers in New South Wales (Sydney, Newcastle, Wollongong, Central Coast), Canberra, Queensland (Brisbane, Gold Coast, Sunshine Coast), Victoria (Melbourne), with the operational capacity to service commercial/industrial customers in Adelaide and Perth. Stainless Steel Rescue will restore your scratched, ‘Tea Stained’, or rusted stainless steel and bring it back to looking like new in no time. We also offer flexible maintenance programs to protect your stainless steel, keeping it in tip top condition. 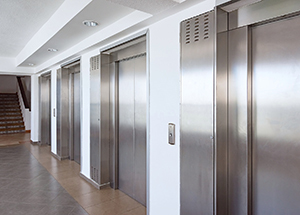 Stainless Steel Rescue can provide maintenance programs to suit your individual needs to protect your investment in stainless steel. Unlike cumbersome and noisy mechanical methods, our renewal process is unobtrusive, there is no residue clean up, and it is completely quiet. We can renew your stainless steel at a time that is convenient to you, without disruption to your usual routine. Our goal is to provide our customers with the highest quality of service and products. We continually seek ways to improve our processes and ensure customer satisfaction. Would you like to speak to one of our restoration specialists over the phone? Just submit your details using the online form and we’ll be in touch shortly. You can also email us if you would prefer, or phone 1300 593 885 between 08.30am and 17:00pm Monday to Saturday.